One of my earlier blog posts I made some recommendations for settings for setting up groups for use in the K-12 environment. Since that post, the Facebook group function has changed and I wanted to share what I have learned so far. 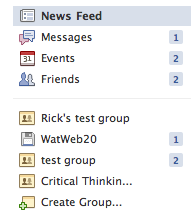 The group function is still accessed from the main page in Facebook. Select the ‘create group’ option. 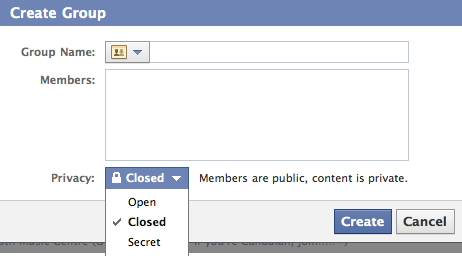 Next, enter a name for your group, choose an icon from the drop down list and select the type (open, closed or secret). I recommend ‘closed’ for K-12. Once the group is created, the new ‘header’ is displayed. Note: groups created prior to this feature change continue to function the way they did. Group settings are adjusted through the ‘edit’ and ‘settings’ options. The new group function also provides the option of defining a group mailing list. 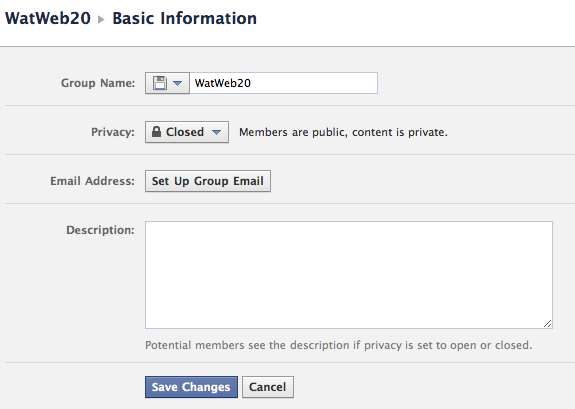 In my example, I would name the mailing list after the group (watweb20@groups.facebook.com). Messages posted to this addresses are distributed to group members. Only Facebook friends may be added to a group. The email list option to invite group members has been removed. Invited friends are automatically added to the group. The former request/accept process has been removed. The display of posts has also changed. 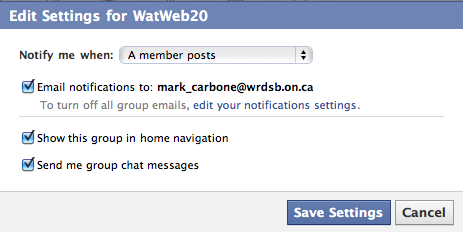 When a group member posts on a group wall, the post also shows in your personal newsfeed (not wall). 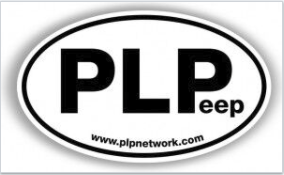 Friends in the group will also see the post in their newsfeed. The ability to see posts is also impacted by the ‘top news’ or ‘recent’ setting. All in all, the new group function will work well for K-12 usage. I recommend that users set their security and privacy settings appropriate for professional conduct and interaction with students. 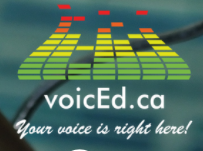 Thank you to @rebrouse and @rickbudd for working with me to test and document our learnings. Happy collaborating in a social networking environment.